A pediatric dentist is a professional who has specialized in the treatment of pediatric and adolescent dental patients. The doctors and staff at Legacy are highly qualified, compassionate individuals who strive to provide excellent care for infants through adolescents and special needs children in our community. We are especially adept at handling the child who may experience slight apprehension toward the dental visit through those who suffer from severe anxiety or behavioral difficulties. We also believe it to be vitally important to include parents and caregivers through education and providing clear and comprehensive information pertaining to all aspects of dental health. These areas include nutritional counseling, prevention of dental disease, and conservative treatment options. Our team is committed to providing a safe and comfortable environment for both parents and children and continually strives to make each and every visit to the dentist a positive and pleasurable experience! We gladly welcome any questions or concerns you may have regarding your child’s visit to Legacy Pediatric and Adolescent Dentistry. Dr. Jerod Brazeal grew up in Arlington, Texas. He is a graduate of Texas A&M and the University of Texas Health Science Center of San Antonio where he earned his dental degree. He was then selected to complete his residency in pediatric dentistry at UT Health Science Center in San Antonio and Children’s Hospital in San Antonio. He has received extensive training in oral conscious sedation, dental trauma, and the treatment of medically compromised children, as well as those with special needs. Dr. Brazeal is a Board Certified Diplomate of the American Board of Pediatric Dentistry and a member of the American Academy of Pediatric Dentistry. He is committed to continuing education and association involvement in order to stay current with advancements in pediatric dentistry. 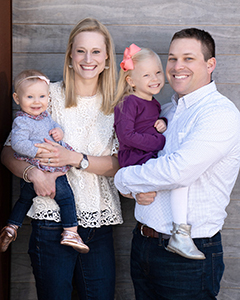 Outside of the dental office Dr. Brazeal enjoys spending time with his wife, Katie, and their two daughters, Caroline and Claire. Dr. Brazeal loves to get outdoors golfing, fly fishing, and hunting and he is a devoted fan of Aggie sports. 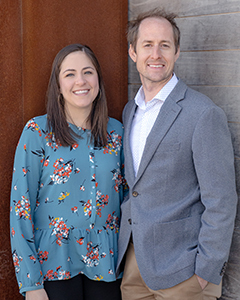 Dr. Brazeal and his wife love being a part of the Fort Worth community and they are actively involved in their church. Dr. Brazeal looks forward to serving each patient at Legacy Pediatric Dentistry. Each day he strives to provide exceptional care with integrity and compassion, and to ensure a positive experience for every child. Dr. Gold was born in Galveston, TX and raised in Palestine, TX. Upon graduation from high school, she moved to College Station to attend Texas A&M University where she earned a Bachelor of Science degree in Biomedical Science in 2006. Dr. Gold continued her education at the University of Texas School of Dentistry in Houston and graduated with her DDS degree in 2010. Her interest in the specialty of Pediatric Dentistry led her to remain in Houston to complete a two year residency, also at the University of Texas School of Dentistry. Dr. Gold is a member of the American Academy of Pediatric Dentistry and a Diplomate of the American Board of Pediatric Dentistry. She is also a member of national, state and local dental associations. She has also completed many hours of continuing education in the specialty of Pediatric Dentistry as she strives to provide the best care for her patients. She is affiliated with community organizations such as Junior Women's Club and organizations through her church where she is very involved. Dr. Gold has also gone on several short term mission trips including trips to Nigeria, India and Mexico and hopes to do many more in the future. In her free time Dr. Gold enjoys spending time with her husband Ryan, her family and friends. Dr. Gold especially loves her role as aunt to her many nieces and nephews. Her hobbies include exploring Fort Worth, traveling, volunteering at her church and cheering on the Aggies in every sport. Your child’s first visit consists of a thorough examination, x-rays when indicated and a general introduction to the dental environment. Should your child have dental problems, they will be discussed with you and an estimate of fee will be given. Corrective procedures will start on the second visit. Our office is open from 8:00 am to 5:00 pm on Monday, 7:00 am to 5:00 pm Tuesday thru Thursday and Friday 7:00 am to 11:00 am. These hours are subject to change due to varying school seasons. We are closed on weekends and major holidays. In the event your child requires emergency care, our telephone is answered 24 hours a day. The pediatric dentist on call will be available to handle your child’s emergency.